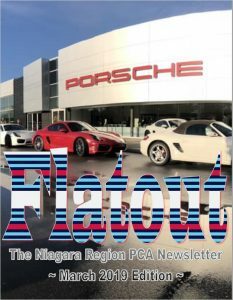 Guess what time it is….. Time to check your mailboxes for the annual hardcopy of our Flatout. Welcome Fuat Yucel as our new editor and enjoy the newsletter. All the usual suspects are in this issue: Annual financial report, annual calendar, anniversaries, and contact info. Great articles like – Watkins Glen Drivers Walk of Fame and Memorial to Lou Betstadt. Click on the cover below to check it out.